A homepage that’s clear and simple to navigate has been shown to improve online lead generation. First impressions are important because websites are often the first detailed encounter with your company. In less than five seconds visitors are making judgments. 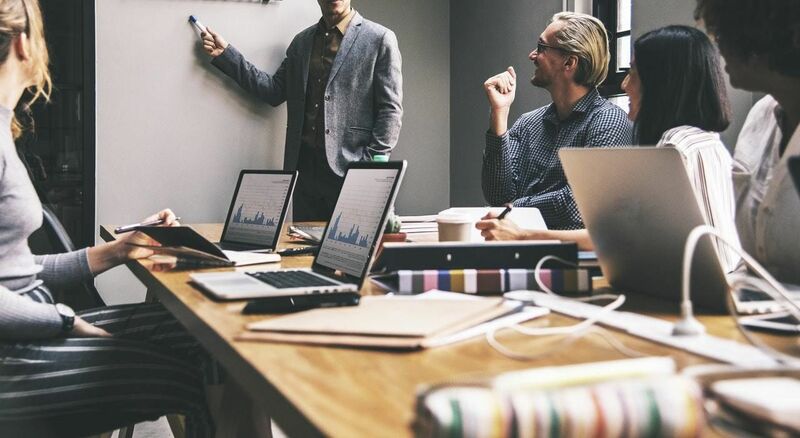 Does your company offer quality? Can they meet my needs? Should I do business with you? Clear navigation makes it easy for visitors to find the information they seek. Text that is to the point and avoids fluff or repetition also moves the client along your funnel. A great example of this can be found on a site designed by Effect. 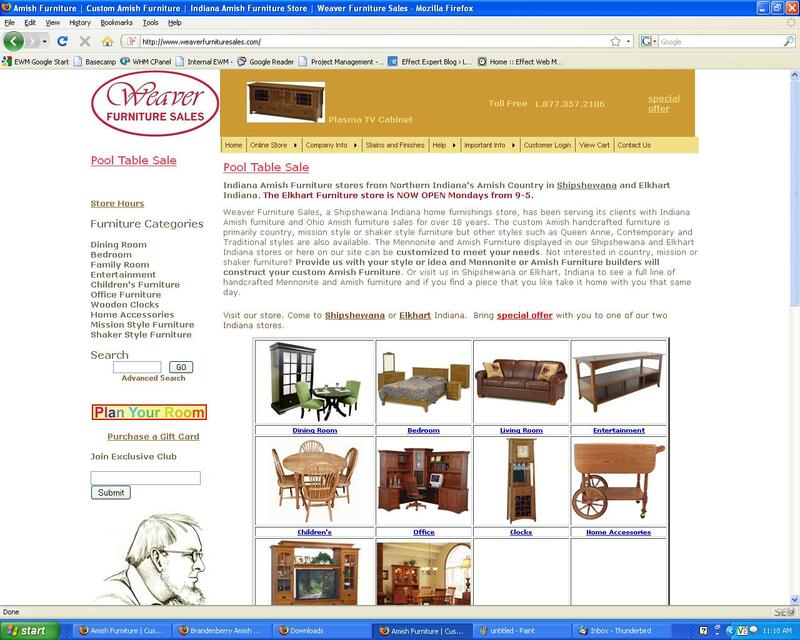 This company specializes in handcrafted Amish furniture and operates in Northern Indiana. To formulate a strategy for their new site we first looked at the site of one of their older brands. We noticed was that the homepage was content heavy and there was no clear funnel or path for visitors. The ultimate goal was, of course, a sale, but the primary purpose of any site is online lead generation. First, we helped the client define the top three main goals for the new site. Drive more foot traffic to their bricks and mortar store. Have people browse their online catalog and submit a request for a quote. Capture prospective customers information in the email newsletter sign up form. Please note that none of their goals for the website included taking sales ON THE WEBSITE. Two of the three were solely for the purpose of online lead generation. We first utilized their beautiful photos to create an engaging slideshow on the homepage to confirm to visitors that they were in the right place for quality, hand-crafted Amish furniture. We then set up three doors or entry points into the site that would guide the visitors to the next step in their journey. The three entry points on the homepage graphically represented the client’s goals. A navigation menu was intentionally left of the design to better funnel the users to the three goals. We also set up a tracking code on the three goal-areas to measure valuable information about the visitors and their behavior on the site. The result was an easy-to-navigate, beautiful site that was able to meet the client’s goals and needs. With web analytics, we were able to see that the site had a low bounce rate. This confirmed that the path to the next step was clear. 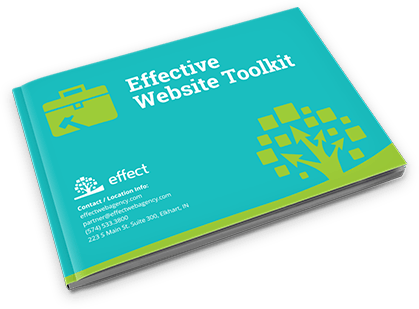 Effect Web Agency builds websites that not only look good but are tools for growth. If you are looking for a better performing website or a strategic web strategy, call Effect. Located in Granger, Indiana, Effect serves businesses in the Indianapolis Metro Area and around the world.